Lunden was barely 1 day old, but doctors said there was no hope. The Jensens wept as they were left with no options to save their little girl. Alone, in their private room at the hospital, all they could do is wait. They were waiting for their baby to die. 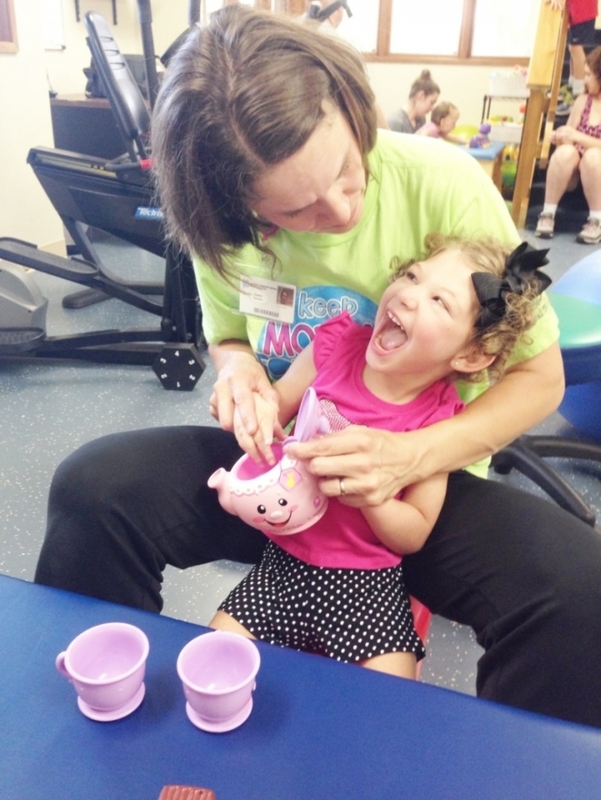 Lunden had low muscle tone, so occupational and physical therapists came in to make things "comfortable" for her. But Lunden refused to let go. 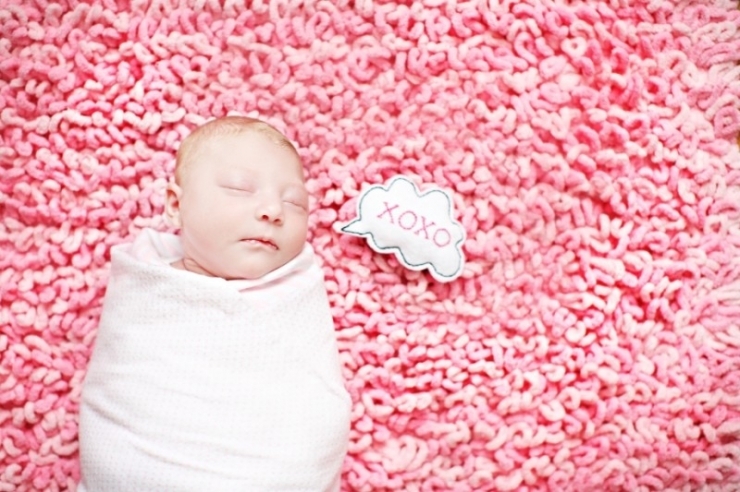 For 8 days in the NICU, she fought to stay alive. 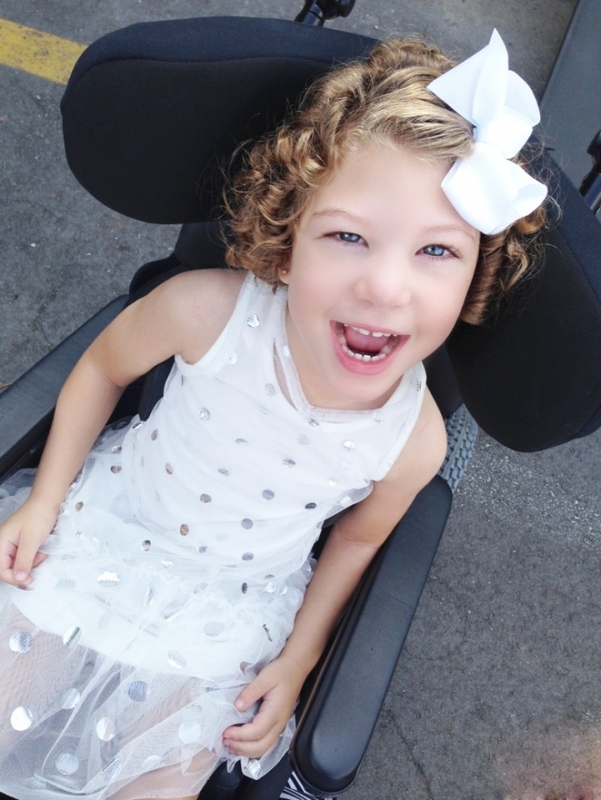 Finally, doctors realized that this little girl had no intention of leaving her family. The Jensens got to take their baby home. Lunden was born on July 6, 2010. She was supposed to be an identical twin, but her sister, Layne, died in utero. Doctor's believe that when Layne passed, a blood clot from her body lodged itself somewhere in an artery that she shared with Lunden. That happened 20 weeks into Erin's pregnancy. 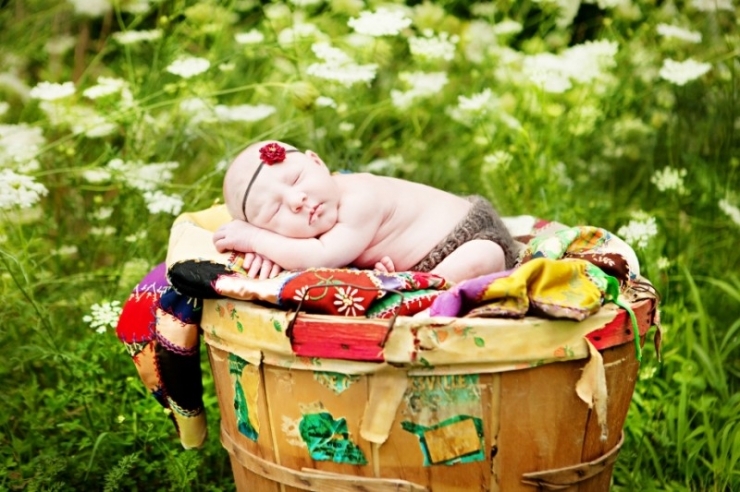 For the rest of her pregnancy, 17 weeks, Lunden's brain did not receive any blood flow. 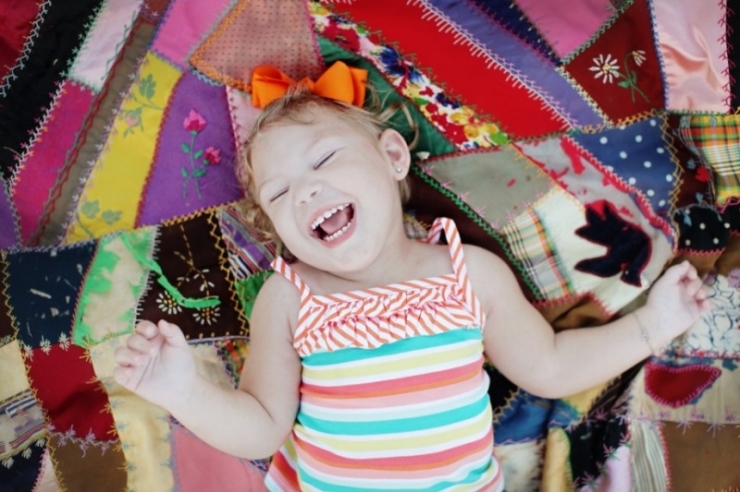 This led Lunden to be born with a developmental birth defect called Schizencephaly. Lunden's brain is small and smooth. It's missing the folds and grooves that typical brains have, which causes developmental and physical delays. Lunden is missing most of her occipital lobe. She suffered a shower of strokes that left holes in the right and left lobes. Doctors say she should be blind. Yet, somehow, she's not. "We don't know how much she can see," Erin explains. "We think she tracks the light around people." Lunden regularly experiences seizures due to epilepsy. 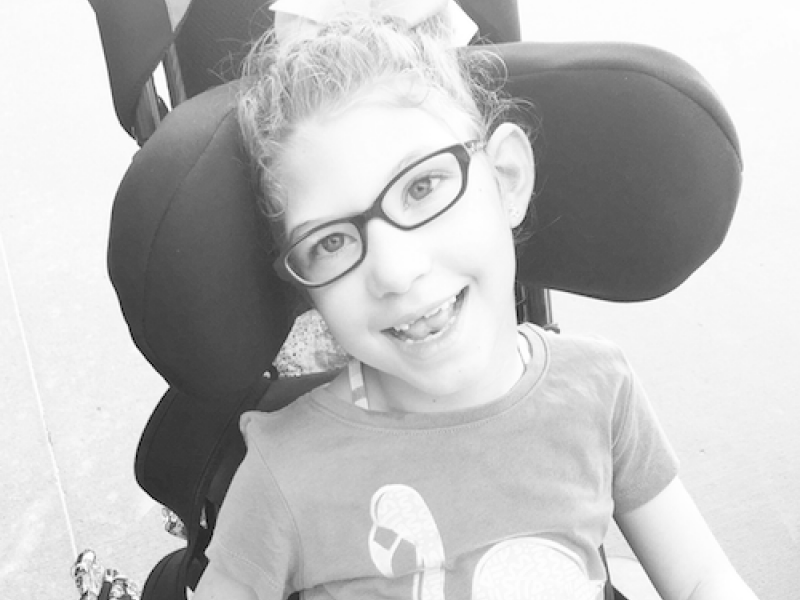 Her parents do their best to keep the seizures at bay with medication. Lunden initially was able to breastfeed, but at 8 months old she forgot how. She has had to eat through a g-tube ever since. She has recently developed hip pain. Tests revealed that Lunden's hips are 50% dislocated, but she is currently too young to get hip surgery. This causes her constant pain. Yet the kid keeps smiling. No one can deny that despite being just 4 years old, Lunden is a fighter. She's literally been fighting and beating the odds since the day she was born. It might be a trait she inherited from her parents. The school district Lunden lived in did not believe she had the potential for learning. Erin refused to accept this. She withdrew Lunden from the school district and enrolled her in a different school. The new school required that Lunden must have a private nurse, but agreed that Erin could do the job. 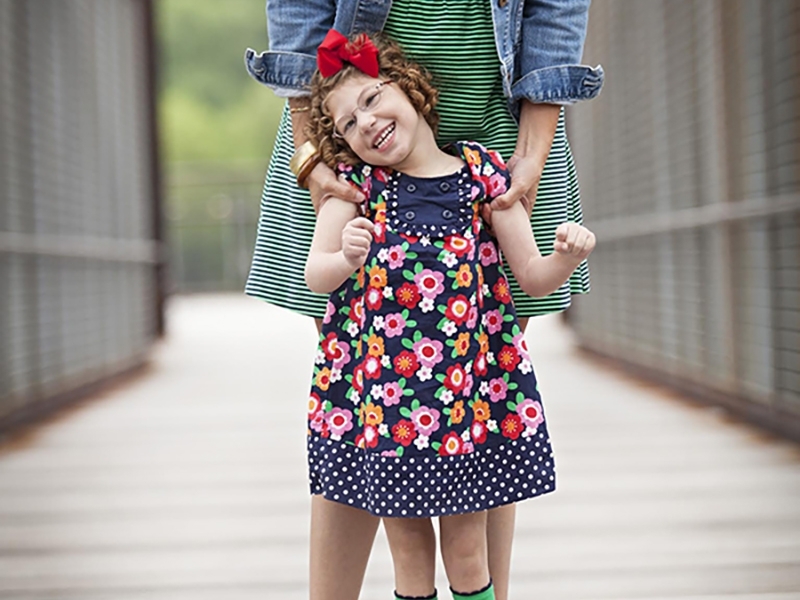 Erin accompanied Lunden every day on a 30-mile commute to school. "I had no idea how awesome a classroom would be," Erin explains. "Lunden thrives in a typical classroom." All the kids at school adore Lunden. "They fight over who gets to sit with her or push her to recess," Erin smiles. Lunden is far surpassing the limited expectations that were set the day she was born. She has begun babbling and has even learned a few words. She's a sassy girl who loves to say, "Oh, gosh!" She is currently learning to communicate with communicator buttons. I don't know how she wakes up with a smile on her face. Her body hurts, but she's so happy. 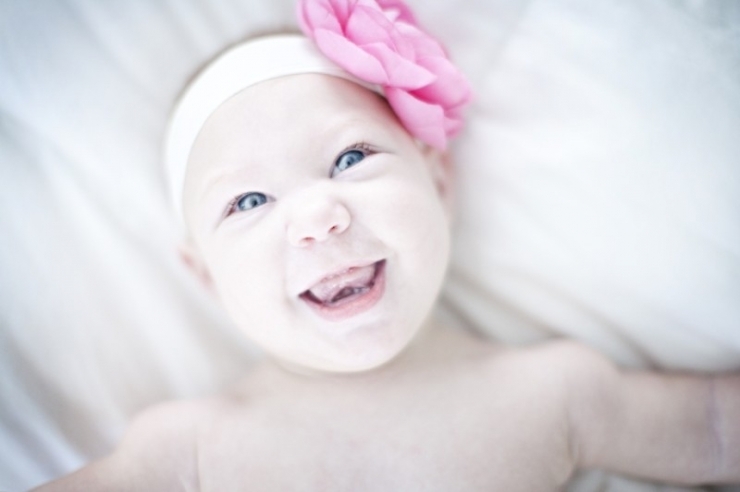 Lunden has a disarming smile and infectious giggle. She's a social butterfly who captures the attention of those around her. She enjoys cooking dinner and baking cookies with her mom. She loves to be outside and her favorite thing to do is to swim. "I think she was supposed to be a fishy," Erin laughs. If you ever want to hear Lunden's giggle, all you have to do is put her in a pool. In water, she is free to move around and laughs the whole time. In order for Lunden to get an education, Erin had to quit her job so she could accompany Lunden to school. The Jensen family soon liquidated their savings. David works 14-16 hours a day, but it's still not enough to keep up with their medical debt. They decided to rent out their house to make up some more income. The Jensens are currently living with Erin's parents and focusing on paying down their debts. "We've learned to live with less," Erin explains. "We have a higher purpose and are serving Lunden." Despite all the sacrifices they have made, the family cannot afford some of the equipment they need to properly care for Lunden. This is where the continued generosity of the Chivers enters the story. We are proud to announce that, thanks to your continued donations to the Chive Fund, Chive Charities is providing the Jensen family with a $60,000 grant! 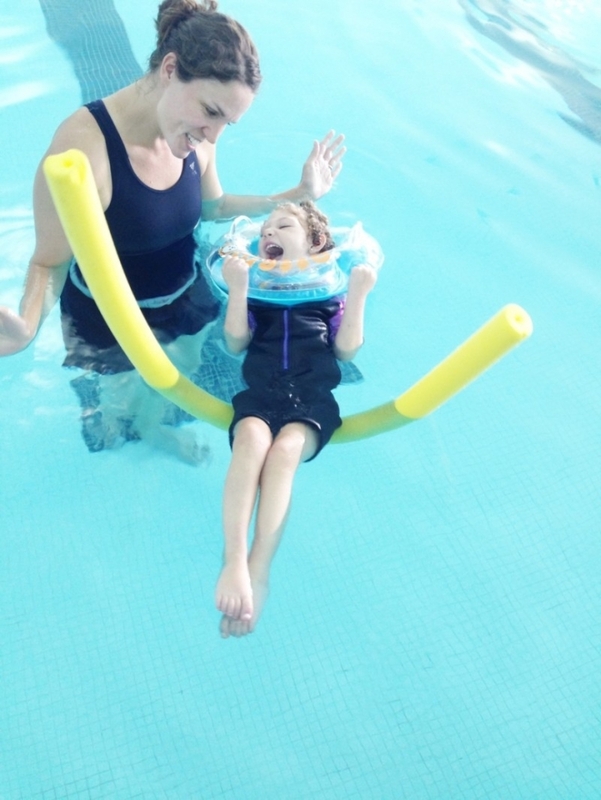 The grant will go towards essential physical therapy equipment that will help Lunden learn how to hold her own weight, communication aids to help Lunden communicate her needs, and visual therapy equipment! 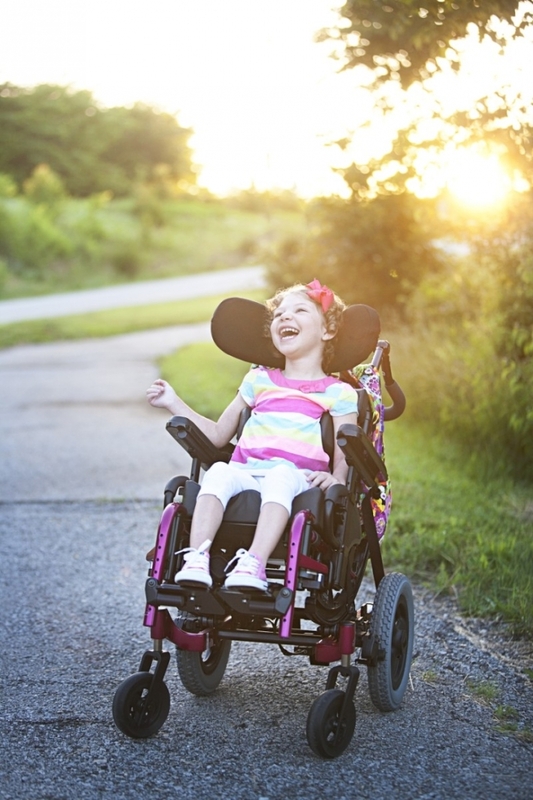 Lunden loves to be out in the community, but transporting her has proved difficult. Lunden has a monstrously heavy wheelchair. The family's current method of transportation is a beat-up, 10-year old van that's pushing 200,000 miles. The van has no wheelchair ramp. It's not a realistic way to safely or efficiently transport Lunden.Chive Charities is proud to announce that part of the grant is going toward a brand new van! The Make-A-Wish Foundation has provided a wheelchair ramp and necessary ADA modifications for the van! 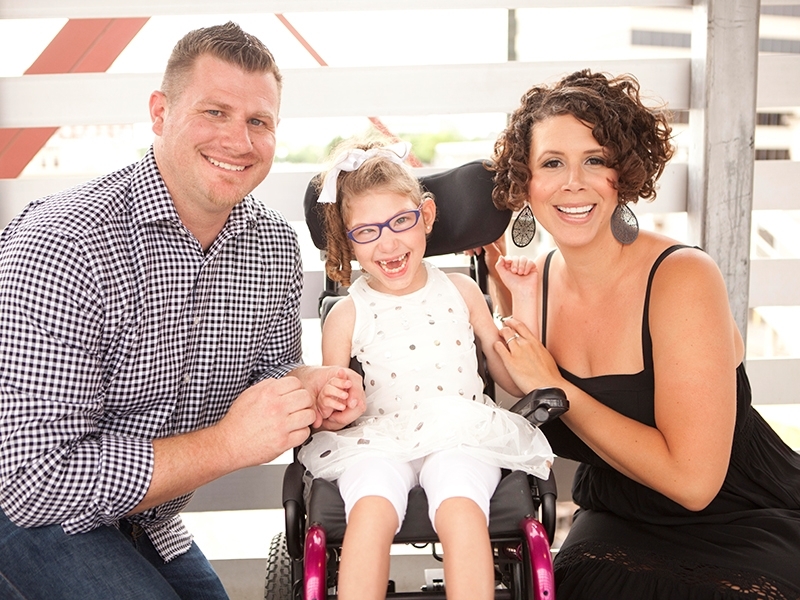 The Jensens will be able to safely bring Lunden back into the community that she loves so much! Lunden is a fish - she loves to be in water. She giggles the whole time she's in the pool! This girl is always smiling! Lunden's wheelchair is heavy and inconvenient. 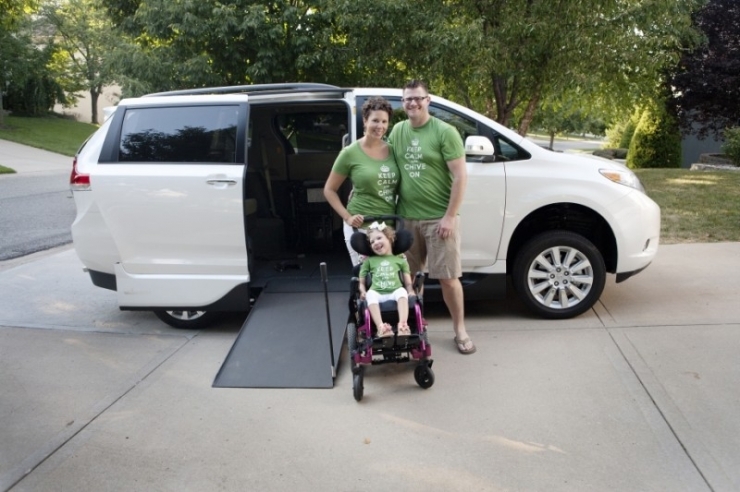 With the brand new van courtesy of the Chivers (and ADA modifications provided by Make-A-Wish Foundation), the Jensen family can now safely transport Lunden and her heavy wheelchair! Things haven't been easy for Lunden, but you'd never know it judging by the smile that never seems to leave her face. Doctors and school officials didn't expect much from her, but she has steadily proved them wrong one day at a time. She is blessed to have supportive parents who will sacrifice whatever it takes to serve her needs. AtChive Charities, we are honored to be able to send a little relief their way and help Lunden on her inspiring journey. Your donations to the Chive Fund have allowed us to give a $60,000 grant to the Jensen family. There is no telling what Lunden will be able to achieve now. 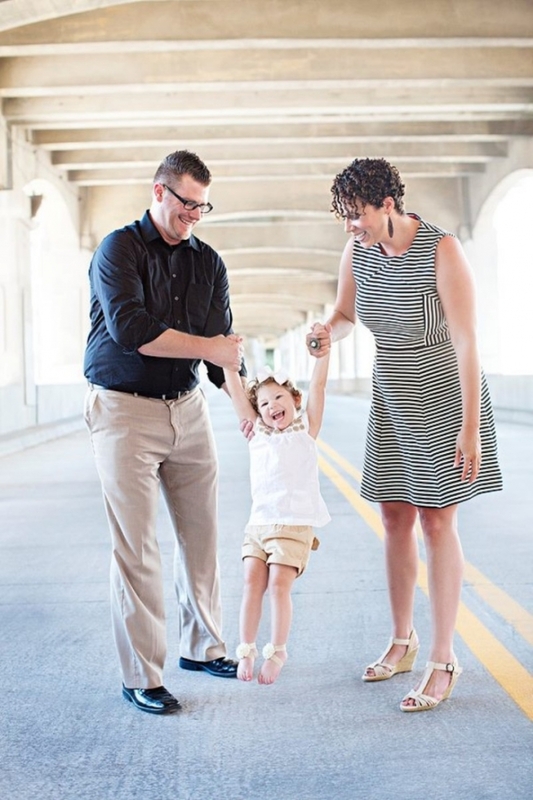 At just 4 years old, she has already reshaped her parent's lives. "I don't know how she wakes up with a smile on her face," Erin explains. "Her body hurts, but she's so happy. She made David and I the people we are supposed to be. We were never going to get there without her."